$1,450,000 THE SHEINBAUM RESIDENCE, 1949. ORIGINAL ARCHITECT THEODORE DIXON BOWER, AARON RESNICK 1957 ADDITION, SVEN ARMSTER 21ST CENTURY SENSITIVE RENOVATION/EXPANSION. A PERFECT BLEND OF ORIGINAL USONIAN DESIGN AND CAREFUL EXPANSION. 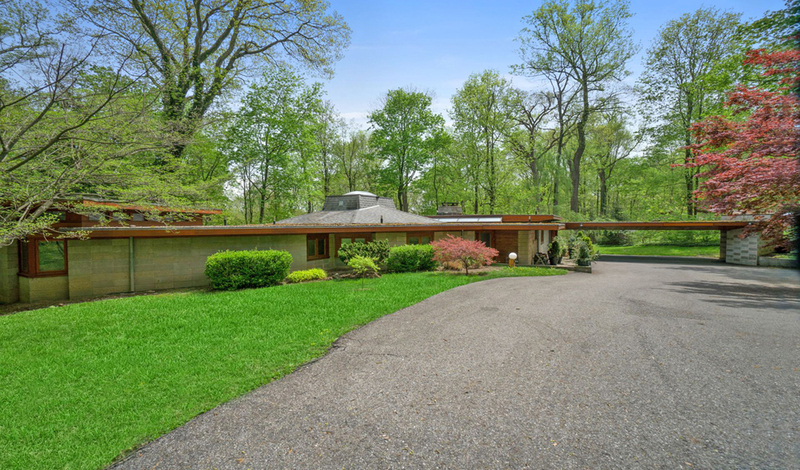 Frank Lloyd Wright’s Usonia...enter this wooded enclave of architectural beauties blending with their surroundings, this home featuring Mahogany & Cypress exterior. Positioned on a gently sloping site the Scheinbaum House offers provenance with original attributes complimented by expanded & sensitive renovations; the chefs kitchen is an entertainers dream! Center core created by Taliesin architect Theodore Dixon Bower is enhanced by a step down sleeping quarters with private entrance. Flow of light, air and modern comforts meets todays standards and an enhanced quality of living beautifully! PROPERTY FEATURES: NEW RADIANT HEAT POLISHED CONCRETE FLOORS, STATE-OF-THE-ART KITCHEN, LARGE ENTERTAINING DECK, 1.25 ACRES, 4 BEDROOMS, 3.5 BATHROOMS, 3,246 SQUARE FEET, ARCHITECTURAL FIREPLACE, CUSTOM-DESIGNED CARPORT, GENERATOR.